In Pro/ENGINEER holes are created using the HOLE dialog box. The HOLE dialog box is displayed when you choose Insert > Hole from the menu bar or PART > Feature > Create > Solid > Hole from the Menu Manager. You can create three types of holes using the HOLE dialog box. the third is a standard hole. Straight holes are the holes that have a circular cross-section having a constant diameter throughout the depth. They start at the placement plane and terminate at the user-defined depth or at the specified end surface. The Sketched option allows you to sketch the cross-section for the hole that is revolved about a center axis. This option is used to draw custom shapes for the hole. When you choose this radio button in the HOLE dialog box, the system opens a new window with the sketcher environment. The cross-section for the hole is sketched using the normal sketcher options available. While drawing the sketch, a center line must be drawn that acts as the axis of revolution for the section of hole. The sketched holes can be a blind or a through hole depending upon the dimensions of the section sketch. The holes created using the Standard Hole option are based on industry standard fastener tables. The Standard Hole option allows you to create two types of holes, Tapped holes and Clearance holes. In the Tapped holes, the cosmetic thread is included in the hole, whereas in the Clearance holes, the cosmetic threads are not included. In the Hole Placement area of the HOLE dialog box all the parameters that will define the placement of a hole are specified. Linear. When you select this option, you are prompted to specify the distances from two linear references. Generally, these linear references are the edges of the planar surface on the model, any two planar surfaces or axes, or a combination of any of these. Diameter. This option creates a diametrically placed hole. 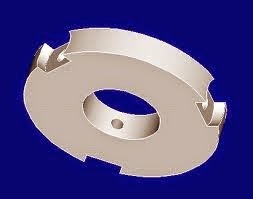 When you select this option, you are prompted to select an axial reference and an angular reference to place the hole. Coaxial. This option creates a hole coaxially. When you select this option, you are prompted to select an axis. No dimensions are required to place a coaxial hole.